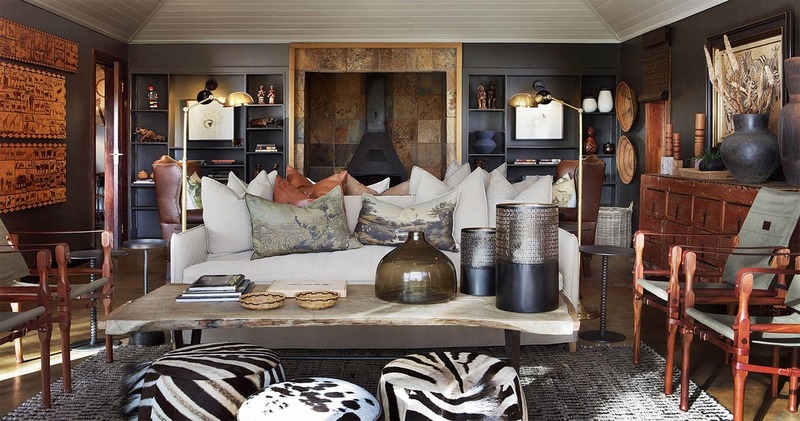 Mala Mala Sable Camp symbolises well-designed luxury in an intimate and private setting for the ultimate safari experience. The Camp is perfect for visitors who desire tranquillity and exclusivity. The 5 luxury suites of the Camp accommodates a maximum of 14 guests, overlooking the banks of the Sand River on an elevated position. 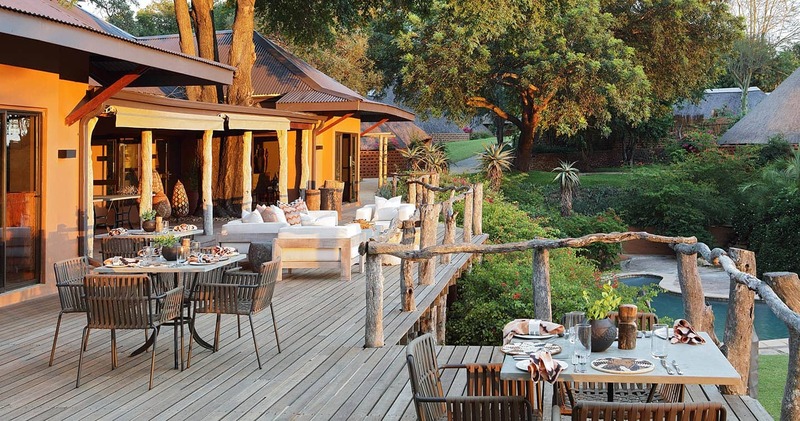 Staying at this lodge will help you to get truly in touch with the pure African nature that surrounds the Camp. Go out and discover it to the fullest on a game drive guided by highly experienced ranger who will make sure that you don’t miss anything. 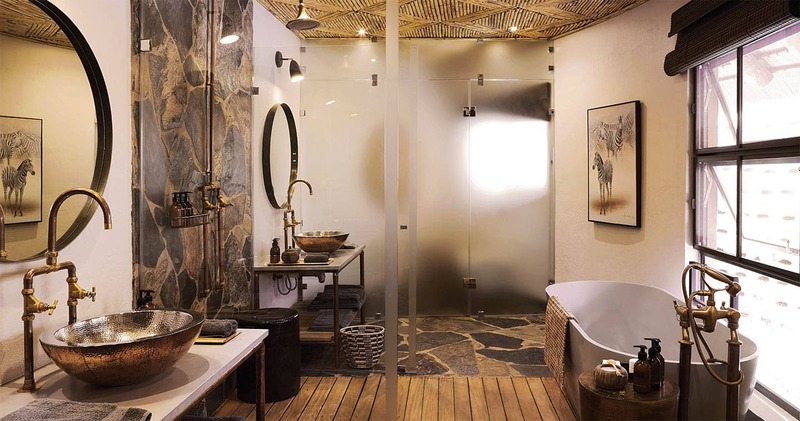 Each of the five Mala Mala Sable Camp suites are uniquely decorated with a personal touch and provides a high level of comfort, with ‘his’ and ‘hers’ bathrooms, temperature control, mini bar and bathroom amenities. Sleep under traditional thatching to experience true Africa and overlook the beautiful surroundings from the private veranda. After a perfect day in the bush, relax and enjoy your dinner in the traditional African boma under the stars or on the wooden deck with panoramic views on the beautiful surroundings and animal life on the Sand riverbanks. 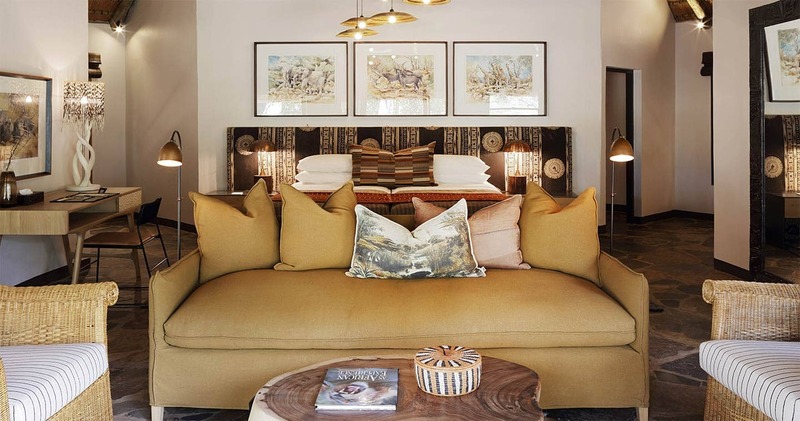 Next to the 5 suites, there is also the Lions Den Suite, which accommodates 4 guests in two en-suite bedrooms separated by a large living room with the same luxurious and comfortable interior as the other suites. This makes Sable Camp perfect for families, groups and two couples. The Camp may also be exclusively booked by groups between 10 or 18 guests. Experience the thrill and excitement of the ultimate African activity to spot the famous Big Five: a game drive safari. Sabi Sands Game Reserve provides the most excellent game viewing experience with over 200 different species of wild mammal and the biggest concentration of free roaming elephant, lion, rhino, leopard, buffalo and cheetah. Therefore, Sabi Sands Game Reserve is the ultimate destination for game viewing with safari experiences that are unmatched. Enjoy this wildlife domain to the fullest on a game drive safari from the Sable Camp in an open 4-wheel drive vehicle with a maximum of 6 guests. Therefore, you will have full view on all the animals that are spotted by the highly trained and experienced ranger that will guide the safari. One of the advantages of a safari in a private game reserve is the possibility to go off-road, which is strictly prohibited in the National Parks and other reserves in Africa. The trained ranger will be able to drive into the bush to let the guests observe each animal to the fullest. This is also possible during an adventurous night-drive under the stars with a powerful spotlight to see even the tiniest animal! Another activity that is part of the ultimate African experience is the bush walks. Walk through the bush with an experienced ranger and get in touch with the fascinating African nature! 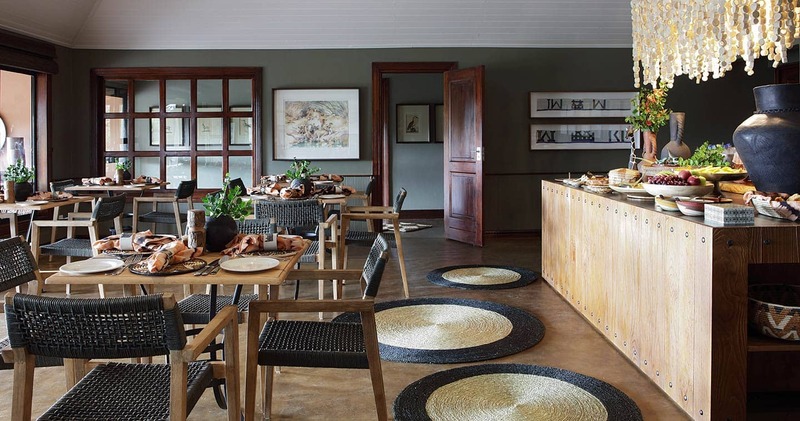 Mala Mala Sable Camp is located at the southern end of the Mala Mala Private Game Reserve, in the Sabi Sand Game Reserve and is contiguous to the Kruger National Park. It takes about five and a half hour by car to reach the lodge from Johannesburg International Airport. There are also several possibilities to arrive by plane. The Kruger Mpumalanga Airport (KMIA) is a two hours drive and is served by direct flights to Cape Town and Johannesburg. Furthermore, there is a twice daily shuttle service between the airport of Johannesburg and Mala Mala Game Reserve, where you will be picked up by a Mala Mala Sable Camp ranger. I came to Mala Mala with my wife and 11 years daughter. The title above means everything Mala Mala really is about. The crew is just outstanding, from the reservations office to the waitresses, not forgetting all the rangers. What to say more ? Excellent food, confort, and obviously the world wide known game drives. We stayed for three days, which corresponds to six game drives, when we saw all the big five more than once, including the babies, and other lovely animals as well, like zebras, giraffes, warthogs, great sort of antilope, and even a porcupine. Special mention to the funny and curious baby leopard that seemed to like us for some reason, and the whole pride of lions, including the dominant male. My family was clearly sad to leave, and I definetely wish to return another time. Having done previous photo safaris, we thought we had seen luxury in Africa, but this topped all the rest and as for the wildlife -- it was in the top 2 of the best game viewing experience ever, only rivaled by Botswana. And the 2 cannot fairly be compared. Our every need was seen to and we chose to stay out all day most days to see more wildlife. The chef and his staff packed amazing breakfast and lunch baskets and we had coffee at sunrise w/some incredible views. Can't say enough great things about the entire staff. Every single member gives 110% to the guests. Sadly, We barely had time to use our private plunge pool. THe villas are huge and so luxurious. Separate dressing rooms/baths for myself and my hubby. amazing!!!!! Sable Camp is a more intimate version of the Main Camp and the choice for those seeking a more private and intimate safari. 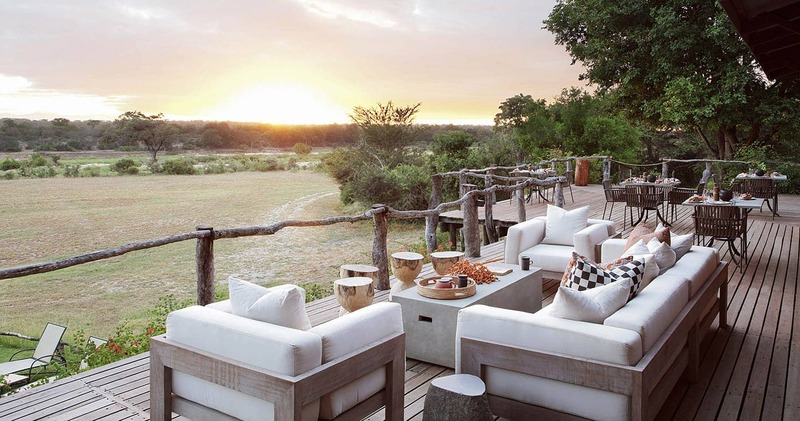 Read all about travelling to Mala Mala Sable Camp on our getting to Sabi Sands page. Children of 12 years and over are welcome at Mala Mala Sable Camp. 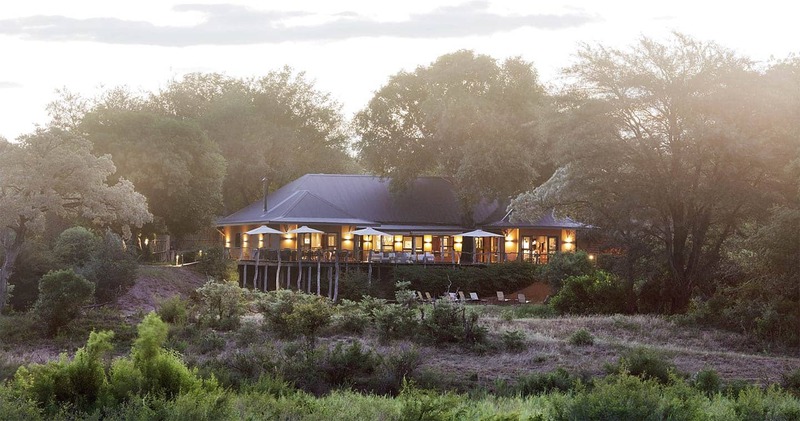 We hope you have found all information needed to decide that Mala Mala Sable Camp in the Sabi Sands Game Reserve is the perfect place for your next travel adventure. Please fill in the contact form and we will get back to you soon!